Academy Award winner The Fighter, starring Mark Wahlberg (The Other Guys) and Christian Bale (Batman Begins), was issued on DVD and Blu-ray on March 15, 2011, from Paramount Home Entertainment. Based on a true story, the drama film follows two brothers facing family and professional difficulties. Wahlberg plays Micky Ward, a struggling boxer who has been overshadowed by his older brother and trainer Dicky (Bale), a former boxer and local legend battling his own demons. Trying to get out of the loving but destructive grip of his family, including manager mother Alice (Melissa Leo, TV’s Treme), Ward finds strength in his new relationship with Charlene (Amy Adams, Leap Year) and strikes forward to make his own future as a boxing champion. The movie also stars great character actor Jack McGee (TV’s Players). 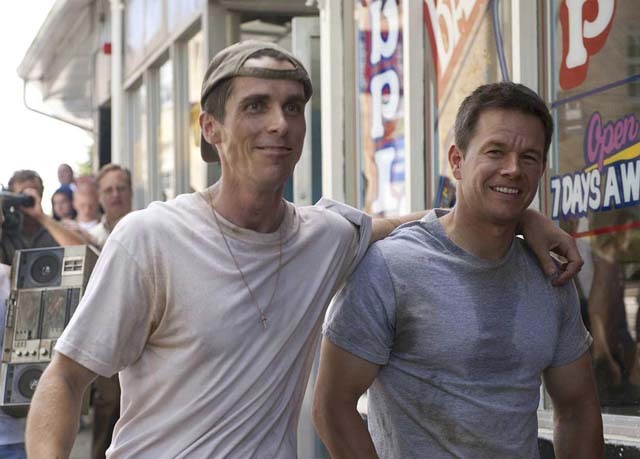 Bale, Adams and Leo were all nominated for supporting actor/actress Oscars, and the film also was up for Best Picture, Best Director (David O. Russell, Three Kings), Best Editing and Best Screenplay. It won two statues, for Bale and Leo. They also won Best Supporting Actor/Actress Golden Globe statues. The Fighter is rated R and grossed $72.7 million in theaters. The movie was released for the home market on DVD and in a Blu-ray/DVD combo pack with a downloadable digital copy of the film.